Does anyone own a Macpac Cascade 65ltr pack ? Im in the market for a new pack and research has thrown up the Cascade as a good option. I was wondering if anyone has one and what there opinions are of it . I hate buying something without trying it on etc , but where I live thats not an option . I’m 6ft 3in and 90kg my worry is that it won’t fit my long back comfortably. I would also love to hear about other brands and models if anyone has a recommendation. I dont want anything bigger than a 65ltr and 50ltr might be a bit small . Got one off here and love it. Had the big 85l and wanted something smaller to use for overnight and day walks etc. Really like it and prefer it over the big sucker, now I just cut down on gear to use the small one. I'm around 6'3"-4 and 100kg (just under so I had two pies for breakfast,,,,) have a short back with long legs though. Find that the fit is perfect for me. I brought one second hand awesome packs I'm 6.4 and 110kg too many pies and got a size 3 frame which is perfect for me. I've got the Cascade 50. Find it a bit small for big trips but perfect for a couple of nights. I'm 6'2" and 115kg and the size 3 is good for me. Not sure which size frame mine is.... Seems like there are a few that like them. Not that thrilled on the pocket in the top lid, one is long and skinny maybe designed for a map, the other one seems to sit funny on the front of the pack not the top. May just e the way I have the straps set up though. Well things move fast in this modern world . I’ll pick it up next week and it will be intersting to see if the 50ltr will be big enough , even if its not I couldnt go past the deal he offered. 50ltr is a good reason to cull the equipment anyway . Same weight & height as you and #3 Macpac harness is spot on, well in old NZ made ones... assuming sizing hasn't changed.. I found the Macpacs pretty generous in their capacity. Think you will be pleasantly surprised. I can comfortably do a 4 day fly camping trip with my 55L with enough room for packing meat out too. The Cascade is made of the same AzTec material as my Glissade - which is still in great shape after 7+ years. Very durable. Ive got the 50 Cascade. 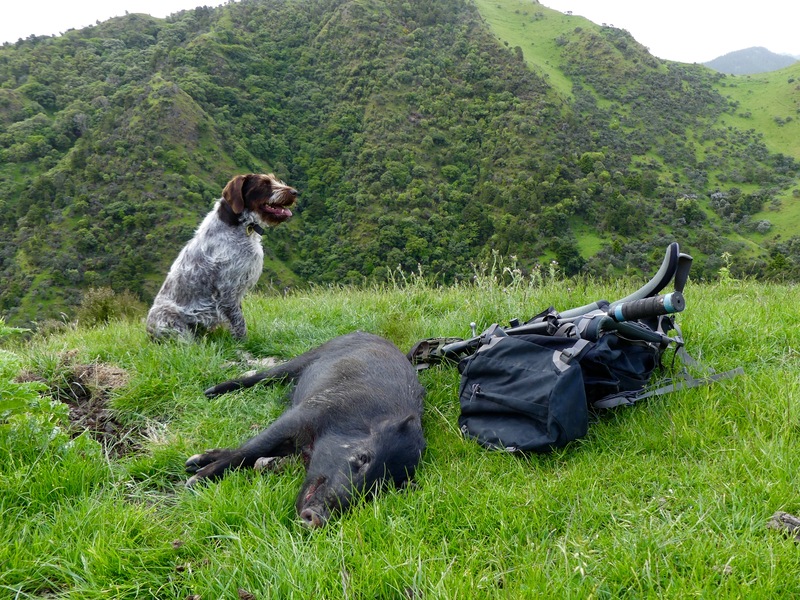 Its my biggest pack and I've never found it wanting for a couple of nights and some meat. The good thing is that you can leave your gear in your tent and use the 50 as a day pack. Its not too big for that. nor-west and gadgetman like this. I'm a runt compared to you lot. I'm only 1.8m (just under 5'11") and less than 70 kg with long torso and short legs. Luckily I fall in the crossover zone for S2 and S3 sizes so I can pick up deals in either. The Macpac harnesses are really adjustable, you can take the bars out and bend them to fit you and there is massive length adjustment in the straps. Utilising it as day pack really sells me on the 50ltr idea , Im assuming you can sync/tighten down the the side straps etc if your not carrying a full load . Yes, you can tighten it all up. Another thing I did to mine is make up a extra shoulder strap from old seatbelt for my shooting side as it’s hard to shoulder the rifle with the thick padded shoulder straps if you plan on hunting with it on,I swap to the padded one if carrying an animal or weight.